This documentary film touches on important issues pertaining to the Great Bear Rainforest and Haida Gwaii. Centered around paddleboarding as a vessel for action, we see how some Aboriginal youth in Bella Bella learn to make paddleboards in school as a way to connect to the land and to make something purposeful. Their engagement in evident in the way they speak about the boards and their connection to place. Their personalized boards, and they way they speak about them demonstrate how important their culture is to them. 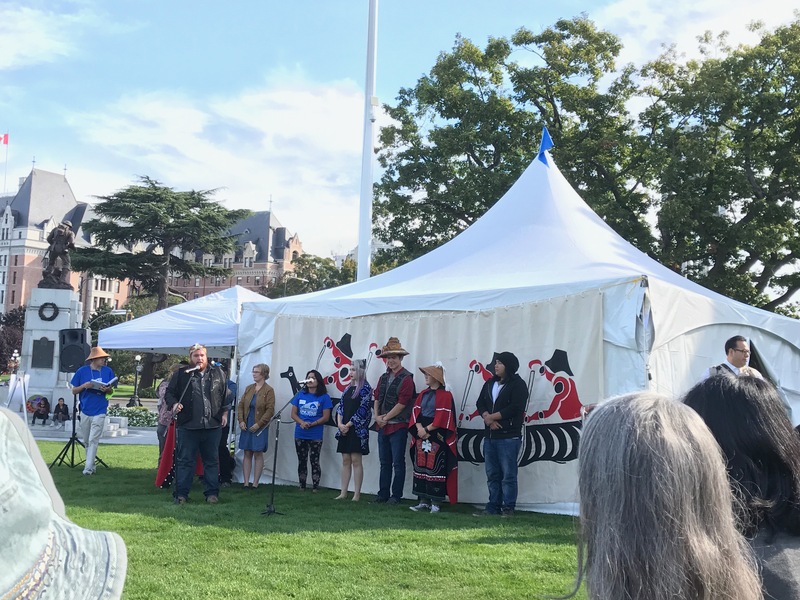 In connection with elders in the community, the youth are inspired to take action against the potential of oil spills on the Northwest Coast as a result of the Northern Gateway Pipeline by speaking at cultural gatherings and participating in a hunger strike. As the youth make their paddleboards and take action, it becomes evident that this is a project that is culturally responsive. 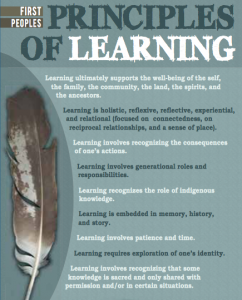 This is the BC Ministry of Education’s 2015 document on Aboriginal worldviews in the classroom. Pages 39-57 focus on “Attributes of Responsive Schooling”. As an educator, this section of the document is less theoretical and more practical. It consists of participant responses to each principle of responsive education, with advice and suggestions to support educators. What strikes me with regards to this document, is the difficulty in which I had to find it on the BC Ministry of Education Website. 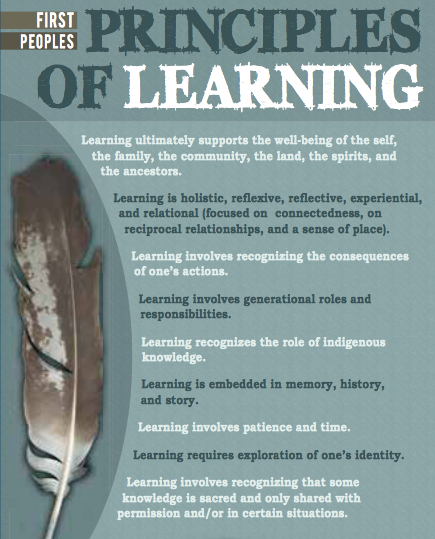 Although Aboriginal education is integrated throughout the revised BC Curriculum, this document provides educators with practical information which lends to the visualization of responsive schooling. 3. In Practising Culturally Responsive Mathematics Education by Cynthia Nicol, Jo-ann Archibald, and Jeff Baker, the following concepts are introduced for culturally responsive mathematics education: grounded in place, storywork, focused on relationships, inquiry based, requiring social consciousness and agency. Simon Fraser University’s Math Catcher Outreach Program uses the concepts of place, storywork, and inquiry to engage students in mathematics. 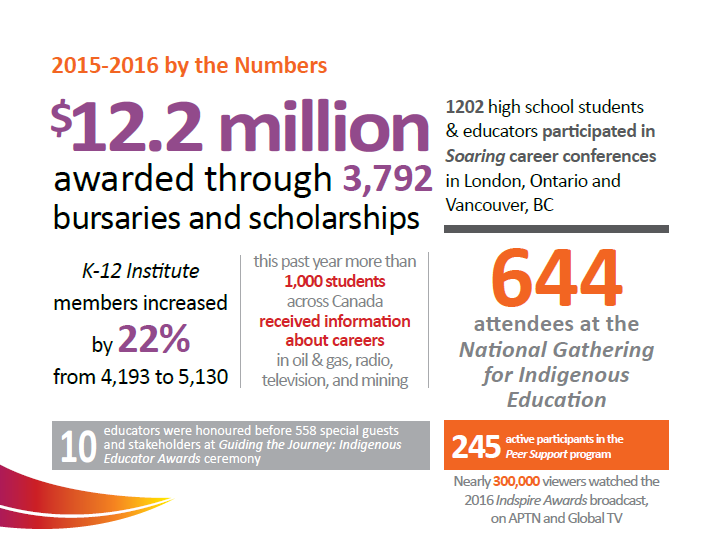 They also offer classroom visits, workshops, and summer camps for Aboriginal children. The digital resources include youtube videos in English and one or more Indigenous languages and are all based on real life situations. They could also act as a math catalyst between school and home. I wonder how these resources are being implemented in the classroom and if they are being used with the other concepts of culturally responsive mathematics ed. 4. In the following TEDx talk entitled Aboriginal math education: Collaborative learning, Stavros Stavrou explains how he takes an “anti-oppressive math education” approach. He co-teachers with an Aboriginal teacher and attempts to incorporate Indigenous knowledge and principles of knowing with mathematics. Watching his lecture, his approach seems to echo the concepts of culturally responsive math education as outlined by Cynthia Nicol, Jo-ann Archibald, and Jeff Baker in Practising Culturally Responsive Mathematics Education. As an educator, this sounds like an amazing situation, where a non-native teacher specialist is able to collaborate and co-teach with an Aboriginal teacher. Stavrou provides an example of how he connected with a student on a cultural, mathematical, personal level. He illustrates for us what we hear echoed in the messages of Inuit youth in Alluriarniq – Stepping Forward, students are motivated and engaged when teachers connect with them personally. So far, this is one of the most impressive resources on Canadian Indigenous literacy that I have seen. Yipee! Basically, this site is a collection of resources that the University of Saskatchewan put together to help those who are interested in understanding Indigenous history and finding credible information that can help them change policy, develop resources, or simply learn more about Indigenous culture. I am completely blown away by the collection of resources (articles, book reviews, e-books, images, media, theses, and web sites), lack of broken links, and excellent descriptions of resources. I truly feel like the University of Saskatchewan has built a collective resource for Indigenous and non-Indigenous people alike. I had been having a tough time finding resources that were accessible and provided accessible information. Finding resources like this one is truly exciting because it helps me to see the potential for technology to help develop effective communities of practice! I found this site as I was searching for resources on local school board sites. (I had never thought to do this, but now it seems so obvious. It’s important to learn what types of resources and practices are being shared in my local community.) Because I am focusing on literacy for my final project, naturally, I gravitated toward the literacy section of this site. However, there are plenty of other interesting resources, including ones on cultural awareness and wellness. In the literacy section, I really like how there are videos that showcase both Indigenous and non-Indigenous perceptions of Indigenous literacy. It reminds me of the importance of the “two-way interaction” that we learned about the other week. 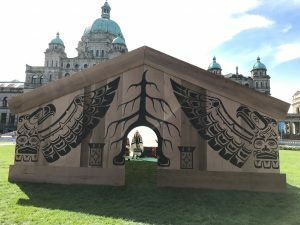 Through these videos, I was able to hear from Indigenous people and also hear how non-Indigenous people worked through these teachings, voicing concerns or questions that I also had. This wonderful site is maintained by First Nations, Metis, and Inuit staff of Edmonton Public Schools. Essentially, it’s a collection of reviews for resources (mostly books and movies) that share good recommendations as well as resources “to weed out.” I think these types of websites are important for educators as they decide on which books and other sources to share in the classroom. This site also connects educators (or whomever is using the site) to the Edmonton Public Library. I have been trying to find resources that link out to other local sites (either online or physical), because I think it’s really important for us to find connections within our local communities and learn about what is available, too. This resource is such a fantastic idea in terms of using technology as a way for students to build knowledge rather than simply use technology as a way to store knowledge. This Google Doc provides open access to a list of recommended books to help Indigenous learners develop their language and literacy skills. For each book, the curators have provided an annotated bibliography, project ideas/activities, and curricular links, so that educators have a way to guide meaningful learning opportunities through reading, discussion, and active participation. There are so many ideas I have to link this resource to place-based learning. Literature is such a wonderful way for people to connect to the world around them, but knowing where to look for these sources is extra wonderful. I have come to grow really fond of Jan Hare’s work in the field of Indigenous literacy development for children and youth. She has expanded my limited view of literacy (typically thought of as reading and writing) and opened it up to a holistic model that is not just important for Indigenous learners, but I believe for all learners. 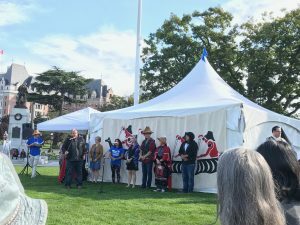 In my search for this Weblog/the final research project, I stumbled upon a UBC article in which Dr. Hare discusses the significance of having parents involved in Indigenous youths’ literacy and language learning. Prior to this finding, I had mostly been focusing on resources that could help the educator find appropriate resources for the classroom, without considering the important role that Indigenous parents could/should play. (Even though we have read about the importance of community involvement in Indigenous students’ learning, this has been difficult for me to conceptualize. Finding these resources has helped me broaden my perception of community and understand the critical role of parents or other caretakers.) In the article, Dr. Hare discusses that an effective strategy for youth to learn more about their own culture is for youth to teach their own parents. In this way, both parents and students are engaged in learning through their history. This also shows that there are “many pathways to learning,” and in that, we need to be considering more informal approaches. This led me to Dr. Hare’s article, “They Tell a Story and There’s Meaning Behind that Story: Indigenous Knowledge and Young Indigenous Children’s Literacy Learning.” What an amazing resource in terms of discussing the importance of storywork, the influence of family and other community members in literacy learning, and the necessity for Indigenous children to learn from (not just about) Indigenous knowledge.